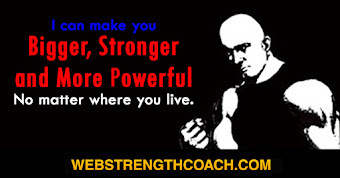 Originally posted on NaturalStrength.com on January 5, 2000, Reprinted with permission of The Iron Master. If you take a close look at old Iron Game literature, you will find a common theme: health, strength, vigor, and longevity. Cosmetic results, although mentioned, were clearly secondary. They were believed to be the end result of "doing the right thing" and were a reward for effort, discipline, and a total lifestyle commitment. The names of the popular books and the titles of the magazines reflected these values. 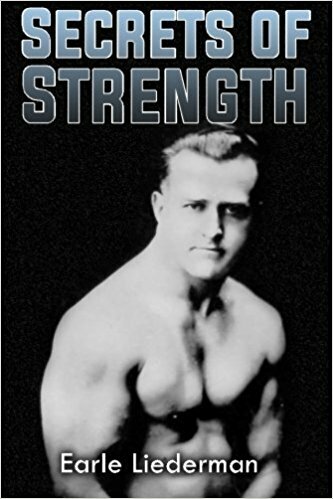 There were "Strength and Health," "Health and Strength," "Physical Culture," "Strength," "The Strong Man," and countless other titles. Compare this literature to the best-selling books and magazines of today; the difference is astounding! Things just haven't been the same since Physical Culture became commonly known as bodybuilding. Cosmetic muscular results have become the primary goal with the end justifying the means. 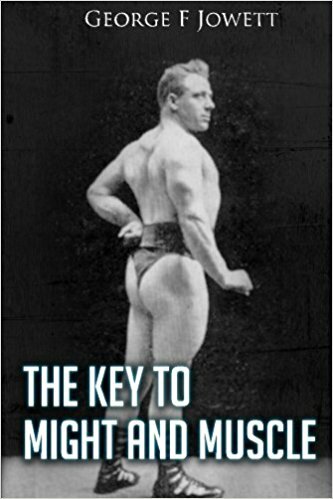 The pioneers of physical culture were not just body beautiful posers. They were strong! 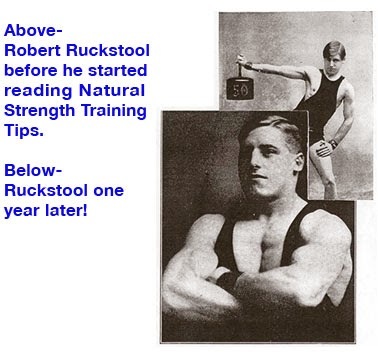 Eugene Sandow and others competed in various feats of strength. They had to make due with crude training facilities and equipment, but they made the most of what they had. They had to endure the wrath of society, as attaining health and strength was not the trendy thing to do in those days. This is how the term health nut got started (they were definitely not called buff!). Even though they had far less information available to them, they swore by the information they did have. Their lifestyles reflected courage and integrity. How many of us truly can say we are using the information we have? Jack LaLanne was so dedicated that he trained his mind to visualize disgusting images at the very thought of junk food. He was once so mad at himself after eating a cookie that he made himself throw up! Cosmetic results were seen as the reward for correct living and hard training. Many of our Physical Culture forefathers went beyond physical health and were concerned with mental and spiritual health as well. 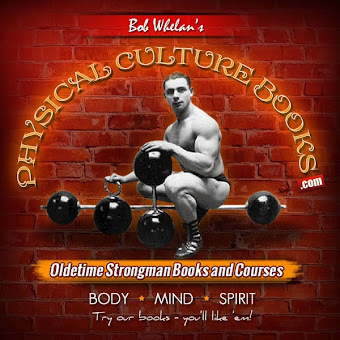 Peary Rader frequently wrote articles about spiritual health; and Bob Hoffman and Bernarr MacFadden, in addition to writing about training, wrote about practically everything dealing with health and happiness, including moral issues. Although innocent at first, the change from physical culture to bodybuilding was like the onset of a silent cancer that changed the values of many of its participants. In the 1990s the hearty souls who remained true to the convictions of physical culture resembled an endangered species. 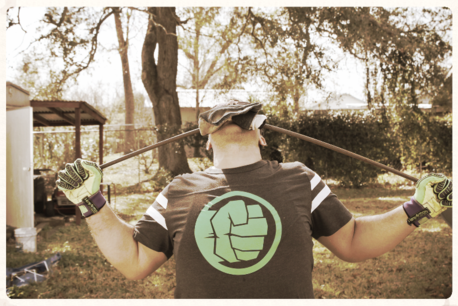 We are a truly special breed, crafted from the old school values of our Iron Game pioneers. 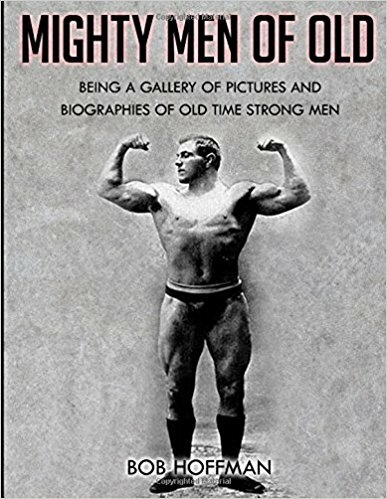 We must do our part, however, and play an active role in keeping the old-time style of training and values alive; if we don't, we will continue to lose influence to the two mutant offshoot extremes. We have the shapers and toners, who are growing in number like rabbits, ad the drug-using subhumans who are even worse! Don't forget where the root of our values came from: Physical Culture. Do your part to keep it alive. Take down the pictures of drug users from your gym walls. Replace them with pictures of the old timers (or anyone you could bet your life NEVER took drugs). Show no respect for any drug user. Burn your collection of steroid-infested, mega-hype muscle magazines. Support the few good magazines that reflect our values. Train at a high level of intensity and focus on strength, not just a pump (almost any exercise with light weight will give you a pump). Add thick bar training to your program; get rid of your chrome and lifting gloves or anything else "toneresque," which in my gym even includes mirrors. You should enjoy the feel of cold steel in your bare hands! Do grip work, do neck work, make a wrist roller, clean the weight from the floor once in a while when doing presses. Defend the basic exercises such as the squat and deadlift, which are commonly under assault and being described as dangerous. 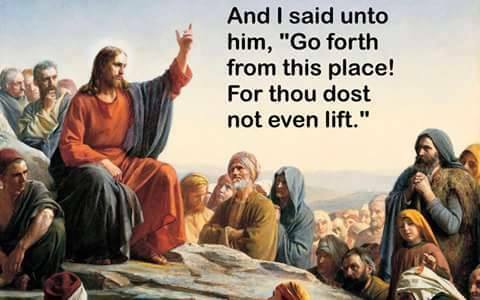 Join the Association of Oldetime Barbell and Strongmen. Physical Culture is not just something you do; it is a way of life. 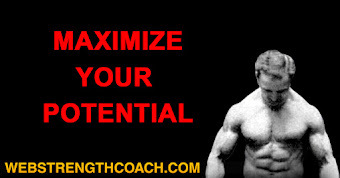 Make use of the information that you have and find your own personal weakest link. We all have one; find yours and work on it. Physical Culture is about self-improvement. Do you need to do more aerobic training? So you skip working your legs too often? Do you drink too much alcohol? The neo-physical culture philosophy should be focused on maximizing your genetic/physical potential (naturally), while never allowing cosmetic results to be the ends-all primary goal. Total health (mental and spiritual as well as physical) should always be the primary unit of measurement for progress. Strive for total health and train for strength; don't waste time worrying about cosmetics. If you train your whole body in a high-intensity fashion to be as strong as it can naturally be, and consistently over the years, cosmetic muscle will be only one of your many just rewards.